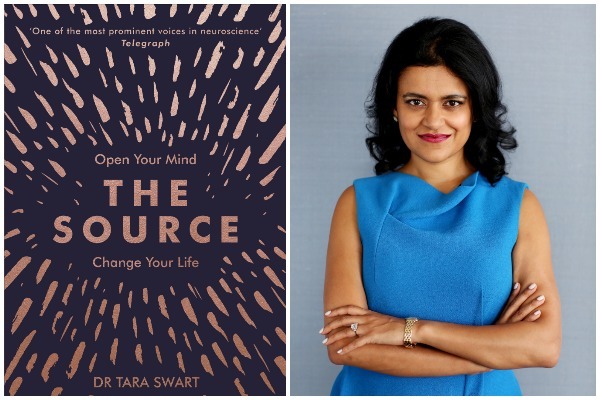 We often miss out on opportunities every day, when we can train ourselves to transform that split-second into a lasting change, believes neuroscientist, former psychiatrist and author Dr Tara Swart. She tells Books Editor Archana Pai Kulkarni how it is possible for everyone to live fully, boldly and without regret. Your book promises that we all have the power to lead the lives we want. In reality that’s not what always happens. What is the one major factor that stands between our deepest desires and their actualisation? Self-doubt leading to lack of awareness of the barriers that we need to overcome, to actualise our dreams. If we don’t believe that we deserve to achieve our deepest desires then we don’t do the psychological work to uncover barriers to our success. We believe that life happens to us and we are powerless to change this. When we either change our mindset around deserving and we do exercises like the ones in The Source, to raise from sub-conscious to conscious the patterns that are holding us back, we can turn our dreams into reality. We believe that life happens to us and we are powerless to change this. ‘The Secret’ was a feel-good New Age book that promised the world and influenced millions, but was later criticised as misleading. In a world that is sceptical about self-development books, and rather wary of the law of attraction books that abound, how do you propose to make your point? I have made my point by backing up all the concepts like the law of attraction with rigorous cognitive science. It was misleading to suggest that we could just think about what we want and sit back and wait for this to come true, without positive action. The critics suggested that it was not quantum physics but neuroscience that could explain the power behind abundant thinking and manifestation. ‘The Source’ has done this in a way that is compelling in the modern world. You had to deal with inner conflict between your cultural beliefs (where yoga, meditation and an Ayurvedic diet were part of the daily routine) and the outside world which didn’t much care for these. What was it that wasn’t fitting in and how did you try to clear this confusion? Where I grew up, in the UK, there are different cultural beliefs that do not have much overlap with Indian culture. I felt like I had to live two lives – one at home and one outside. Many young people in India experience this dilemma in terms of wanting a modern lifestyle and having to also maintain traditional expectations such as love marriage or arranged marriage, clothing styles, or issues around gender differences. I began to see these not as conflicts but as an expanded world view where I could benefit from understanding and leveraging both. Bringing together science and spirituality in my book had a positive effect in terms of reconciling the various aspects of my life. And by publishing it I realised that the concept resonates with many people from all different cultures, upbringings and life situations. Bringing together science and spirituality in my book had a positive effect in terms of reconciling the various aspects of my life. You went through a personal and professional crisis in your thirties, which made you think long and hard about new ways to heal and optimise health. Could you tell us a bit more about it? I realised in many ways that I had been living up to what was expected of me, rather than travelling the road to being my best self (a psychological concept called self-actualisation). It often takes a personal or professional crisis to start this process if it has not happened naturally by the mid-thirties or early forties. I understood that if I strived to be the best version of myself, then I could offer more to the world and be a better family member, friend and person. I then felt a responsibility to share this understanding with as many people as possible through my scientific perspective. What motivated you to write this book? How different is it from The Master Key System by Charles F. Haanel, the book that resonated with you when you were going through tough times? I was looking for a book that combined esoteric wisdom with scientific facts for personal development and spiritual enlightenment. I couldn’t find exactly what I needed to sustain me on my path – what I imagine the modern, sceptical adult needed – so I decided to write it myself! ‘The Source’ is a non-religious book, deeply grounded in neuroscience and psychology, with modern, practical examples and techniques for unlocking the power of the mind. You place a lot of emphasis on action boards and journaling. How different is an action board from a vision board and how do both bring about the desired metamorphosis? Visual imagery tracks through to our sub-conscious, priming the brain to grasp opportunities that may otherwise have passed us by. The key difference between an action board and a vision board is the idea that we cannot just make the board of all our dreams then expect them to magically come true. We need to do something each day, no matter how small, to move towards our goals. Visual imagery tracks through to our sub-conscious, priming the brain to grasp opportunities that may otherwise have passed us by. From your learning, research and personal experience, you propose that retraining the brain is the key and the power of the Source. You have maintained in one of your talks that this rewiring not just helps us manifest our dreams, it can also weed out our deepest prejudices and pave the way for a more peaceful and tolerant world. That’s ambitious and also full of hope. Could you explain very briefly how it works? There are up to 150 identified stereotypes in the world…everything from age, gender and race to physical attractiveness, educational level, wealth, religion and political affiliation. We are all wired to default to these biases but it is a choice, and the change must start in our own brain. If we become more conscious of what our biases are and try not to act on them, we can contribute to a more tolerant and peaceful world. We also need to be mindful not to allow global stereotypes to affect our own brain performance. If we choose love and trust over fear and hate we will naturally influence our own brains as well as those around us. See my TEDx talk on neuroscience and nationalism. We also need to be mindful not to allow global stereotypes to affect our own brain performance. With AI purportedly taking over the world in future and technology threatening to disrupt our minds and bodies, stress is paramount and dreams fall by the wayside. With the brain being ambushed as it were with multiple conflicting inputs, what is the toll on it, and how will it affect the brain-body connection? What is the antidote? I believe that technological advances are a good thing and that we should embrace them; however we need to be very mindful about how we allow these advances to impact our lives. Doing a digital detox, putting boundaries around what and how much we expose ourselves to on social media, and spending quality face to face time with good friends and loved ones is beneficial for our brain and body. Considering that the brain, while constructing new neural pathways, often returns to its old ways, would you say that leading the lives we want is a constant, lifelong endeavour and doesn’t reach a point where it runs on autopilot? There are small habits that we can practise repeatedly until they do become a healthy autopilot such as mindful eating, being grateful, regular sleep and wake times, etc. The more mental, emotional and spiritual areas of development are a lifelong endeavour where each time we achieve a goal we find new and different things to strive for. I believe in continual improvement, and that resilience is about getting back on track without blame or negativity if we do ever return to old ways. I believe in continual improvement, and that resilience is about getting back on track without blame or negativity if we do ever return to old ways. You have applied all the principles that you advocate in your book to your own life. What is a day in your life like? What are the processes that you go through every day to stay on course? I prioritise sleep and always try to get at least eight hours if I can. I drink plenty of water and never drink caffeine after 12 noon. I try to walk 10,000 steps each day. I eat brain boosting food like fish, vegetables, nuts and seeds, coconut oil and ghee, and I take some supplements such as probiotics and magnesium. I practise meditation for 12 minutes, or write down 10 things I am grateful for, or do a forgiveness exercise on most days. I work hard, spend time with positive people, avoid bad news, and if I go off course then I look at my list and just start again with small things. My vision/action board is next to my bed so I always look at it and acknowledge what I have achieved. What is on your current action board? Have you been able to achieve what you set out to, after tapping into The Source? My marriage, family, health and home are always on my action boards. This year my board is centred around the success of the book. I love to travel and now that we have achieved an amazing 29 languages around the world for translation of The Source I hope to travel to many of these countries, especially India. The Asian Women of Achievement awards in the UK are on my board and I have been short-listed for this in the Science category. The one dream that I am still hoping will come true is to have a TV show of The Source movement. My marriage, family, health and home are always on my action boards. You are a psychiatrist, neuroscientist, life coach, motivational speaker and author. With the many hats that you wear, what are your challenges while maximising your time and potential? Do you manage to keep cool always? I enjoy having a varied and balanced career. For me, this is more energising than doing one job. Over many years, with yoga, meditation and other spiritual development practices and deep psychological understanding I have evolved into a more grounded person. I try to do as much as I can, and don’t believe in getting stressed about doing everything. I am very strict about maintaining good quality personal and family time and regular breaks. Do you think books can change lives? Please name two that have impacted you? What are you grateful for? I was taught a love of books by my family when I was a child. My maternal grandfather was a successful author and journalist in India. Books open up new worlds in our mind. I know so many people, including myself whose lives have been changed by a book. ‘Awakenings’ by Oliver Sacks inspired me to do my PhD research into brain diseases. ‘A Woman of Substance’ is a novel by Barbara Taylor Bradford that impacted me from a young age because it was the story of a poor woman who worked hard and became a powerful, independent business owner. I know so many people, including myself whose lives have been changed by a book. I am massively grateful for my education, for the people in my life who supported me and told me I could achieve anything I set my mind to when I didn’t believe I could, and for my own determination and resilience. What are the three most important bits of advice that you would give women? Remind yourself daily how strong and beautiful you are inside and out. Only spend time with people who value you and make you feel better. Don’t let your inner voice or anyone else’s tell you that you don’t deserve the things you really want in life. Dr Tara Swart is a medical doctor, neuroscientist and executive advisor. She is passionate about teaching people how to apply learnings from neuroscience to enhance their everyday lives. Tara holds a medical degree from Oxford University, BSc in Biomedical science and PhD in Neuropharmacology from King’s College, London. She is the only top-tier leadership coach to have a PhD in neuroscience and a former medical career in psychiatry. 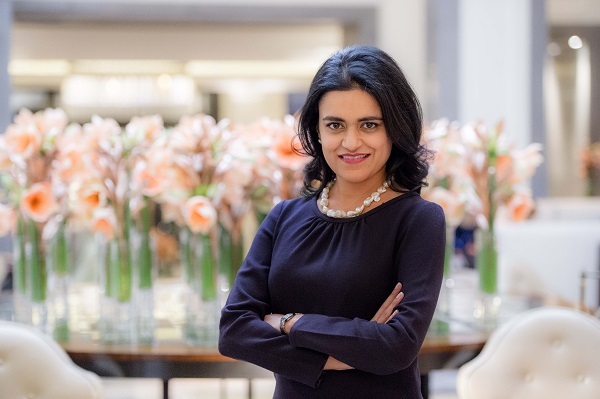 Her experience across the medical, scientific and business spheres means that she offers rigorous guidance on how best to harness the brain’s power to thrive professionally and personally.